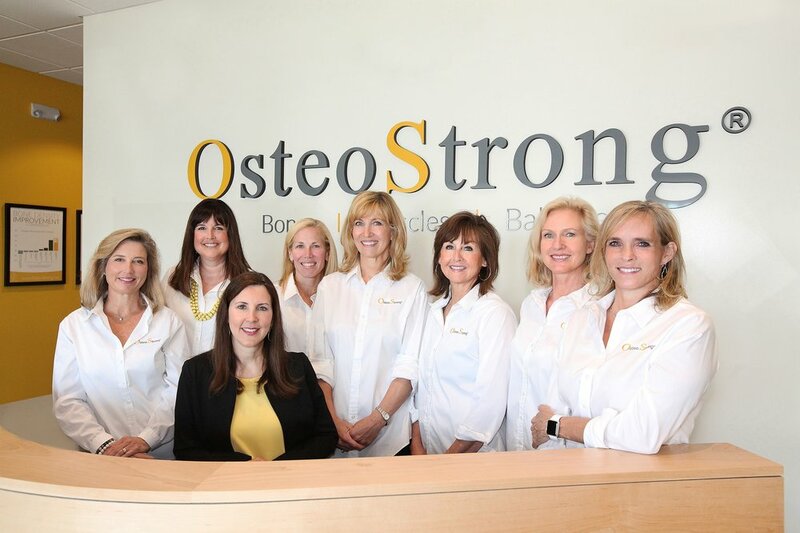 OsteoStrong is a locally owned franchise with a focus on improving strength, performance, bone density, balance and vitality for clients of any age. Our patented technology is engineered to safely provide osteogenic loading to the entire musculoskeletal system. Our clients have not only reversed osteoporosis, but have also experienced relief from back and knee pain, arthritis and sports injuries. It works for people of all ages and fitness levels, and you will leave feeling energized. Plan on an hour for your orientation and first session. After that it is literally 10-15 minutes a week. Wear comfortable flat shoes and anything but skirts or dresses. You will fill out a wellness form and have a brief evaluation. If you think you need your doctor’s permission before our loading session then ask them if you may do weight bearing exercises. We will offer a free bone density screening if you haven't had a bone scan in 5 years. After you watch a short educational video and have all your questions answered, you will be ready to try a free session using the vibe plate, the biodensity machine and either the HydroMassage Therapy or the PEMF Mat. It is fun and easy! “I’ve seen first hand the amazing impact OsteoStrong can have on one’s health, strength, and vitality.